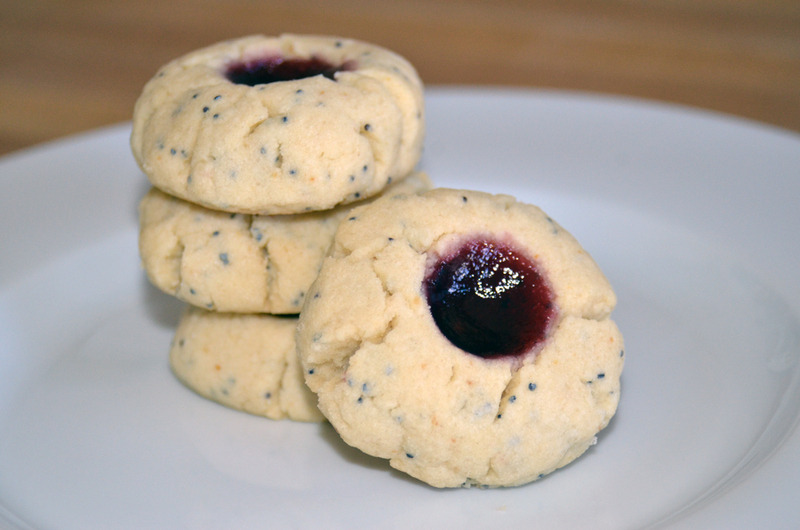 I love thumbprint cookies, and these Poppy Seed Thumbprints are just special enough to make a great treat for Valentine’s Day. To make them extra special, roll your cookies in sugar before baking. Add egg yolks, liqueur, and zest, beating until well mixed. Scrape the bowl as needed. 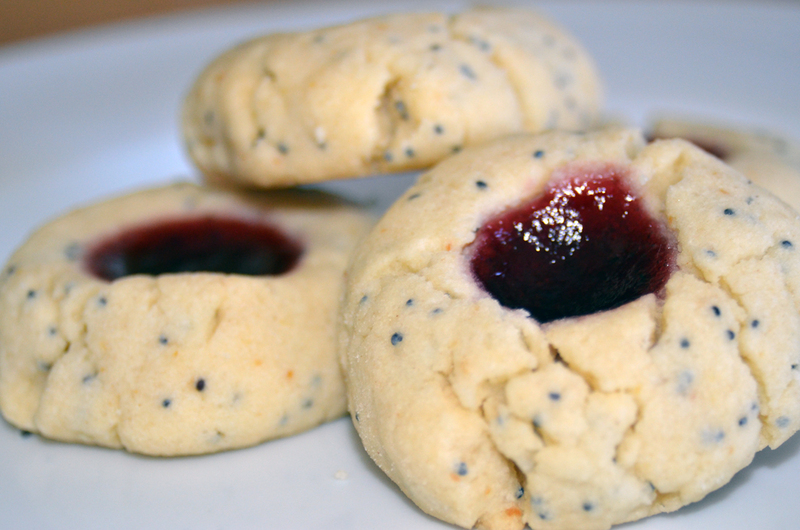 Add flour, salt and poppy seeds. Beat until well mixed. - This is the driest cookie dough I have ever worked with, but don't worry, the results are great. Shape dough into 1-inch balls, placing 2-inches apart on your cookie sheet. Make an indention in the center of each cookie with your thumb, or the back of a spoon. Bake 9-11 minutes, until bottom edges are lightly browned. 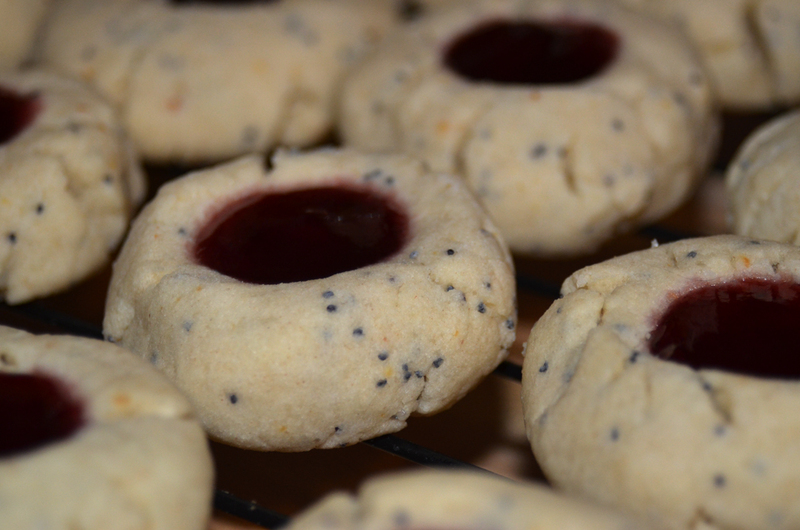 If indention puffs up while baking, press back down as soon as you remove the cookies from the oven. Remove cookies to a wire rack to cool completely. Melt jelly - you can do this by microwaving it small amounts on high for 30-45 seconds. Spoon about 1/2 teaspoon of melted jelly into each of your cookies. Allow jelly to cool.